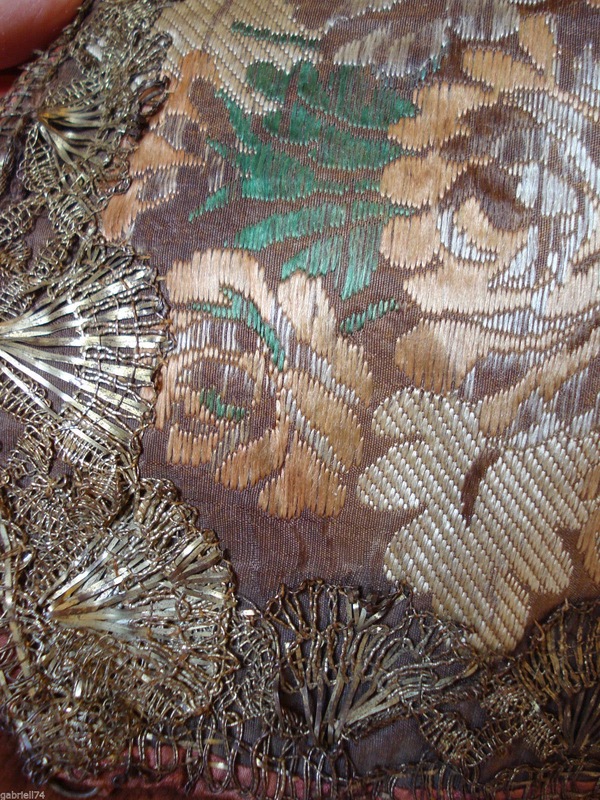 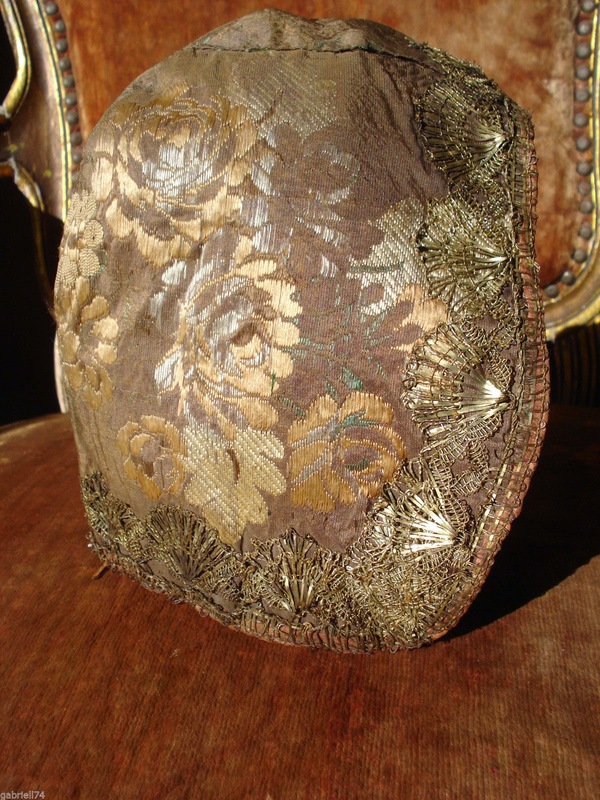 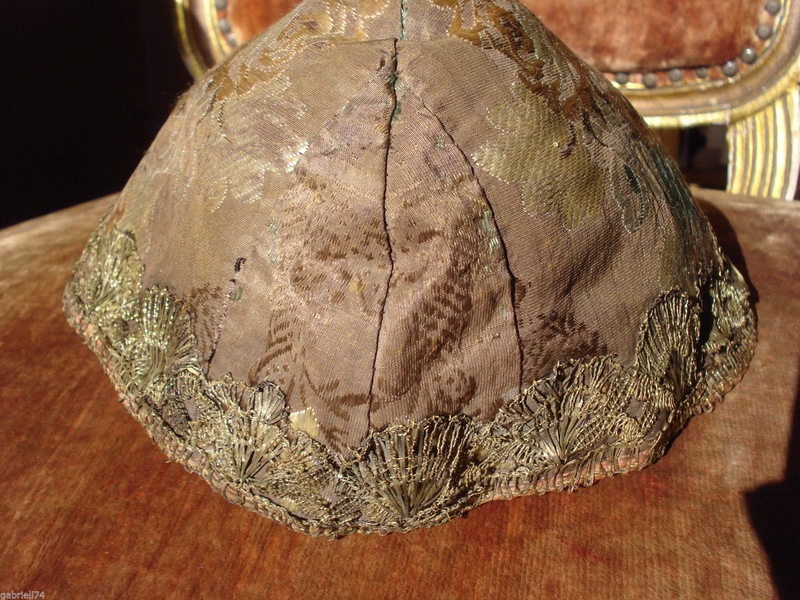 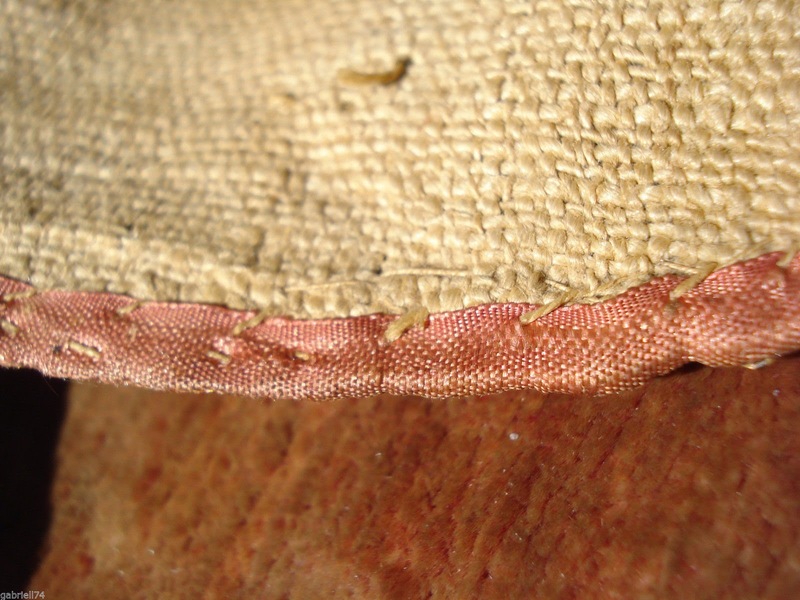 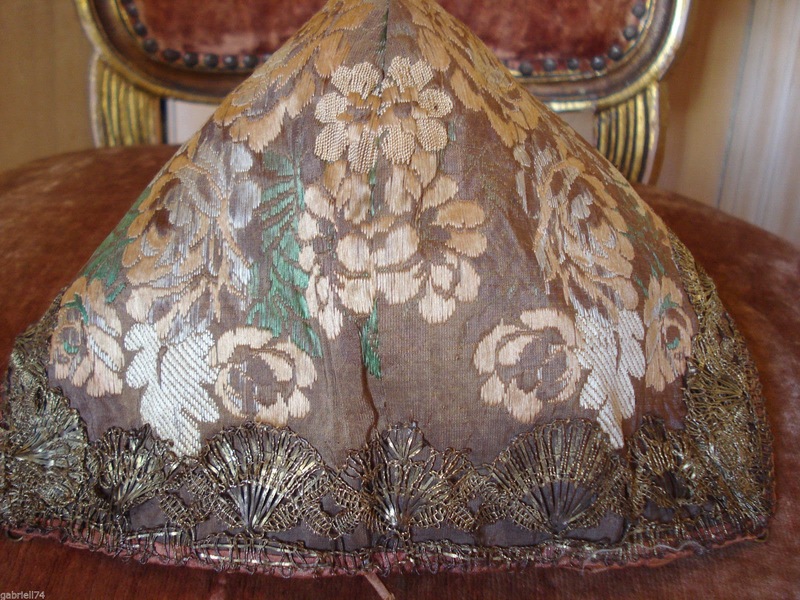 this original antique french silk brocade cap from the 18th century is in good condition and still has its original gilt lace edging. toile it is completely handstitched. 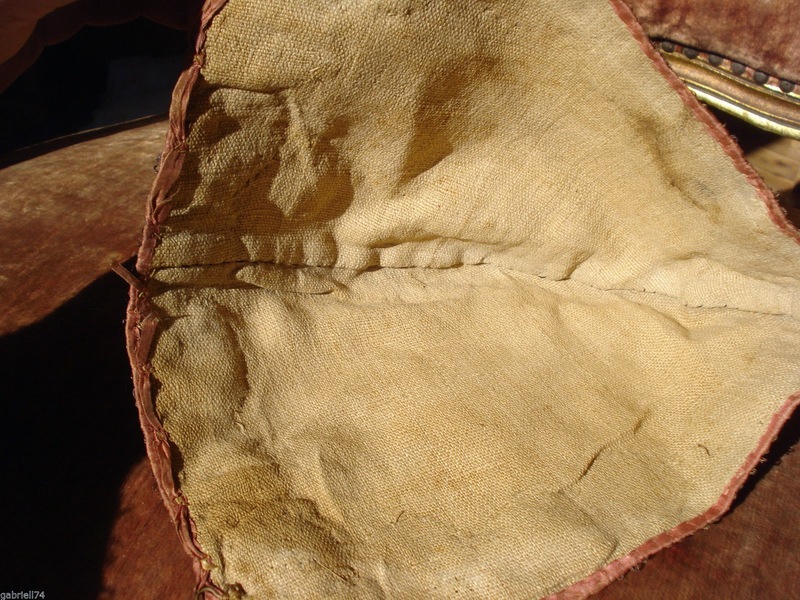 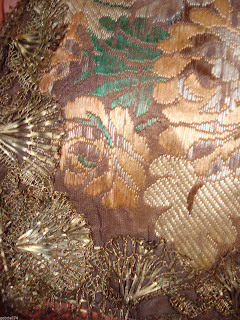 It is a small size, without breaks or major damage just some of the green silk thread has vanished by age on one side. My guess is 1760's but it's hard to tell. These are quite common and were worn by children. 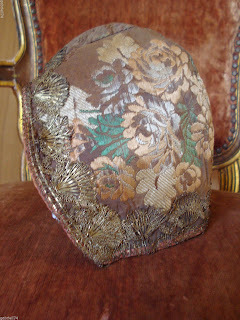 Take a look at this one at vintage textile or this pink one.